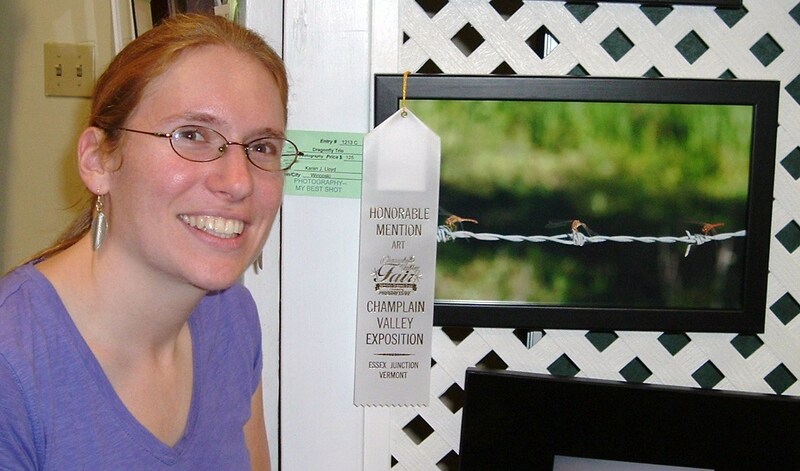 At Karen Lloyd's photography show debut in 2009, validation was bestowed in the form of 2 ribbons. Below are some highlights since then of her work featuring in printed publications as well as receiving honors at juried exhibits. 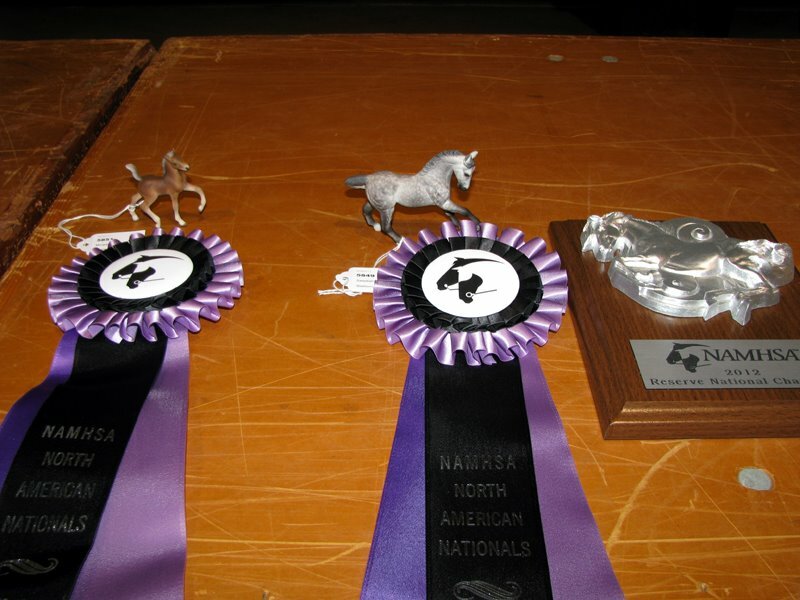 For the extensive list of regional and national recognition for her model horse painting, please visit the Mystic Meadows Stables' Winner's Circle. August: Honorable Mention, photograph "Viceroy: Butterfly Beauty," in Champlain Valley Fair Exposition Art Exhibition's Birds, Butterflies, Winged Insects category in the Photography division. 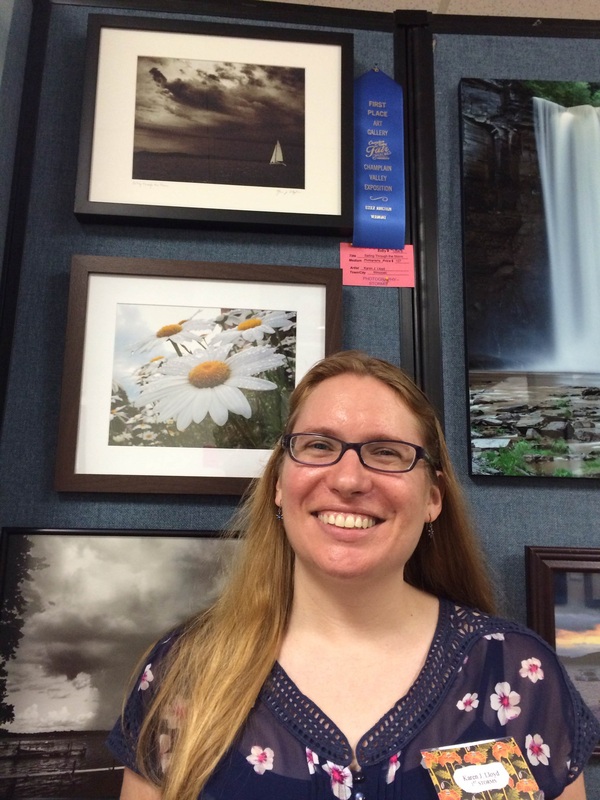 Honorable Mention, photograph "The Unicorn Hitch," in Champlain Valley Fair Exposition Art Exhibition's Fair Theme category. August: 1st place, photograph "Sailing Through the Storm," in Champlain Valley Fair Exposition Art Exhibition's Storm category in the Photography division. August: 1st place, photograph "Belgian Grandeur," in Champlain Valley Fair Exposition Art Exhibition's Fair Theme category. 3rd place, photograph "Soul Therapy," in Champlain Valley Fair Exposition Art Exhibition's Photographer's Choice category. July: People's Choice Award, photograph "Soul Therapy," Darkroom Gallery's Impromptu Exhibit. 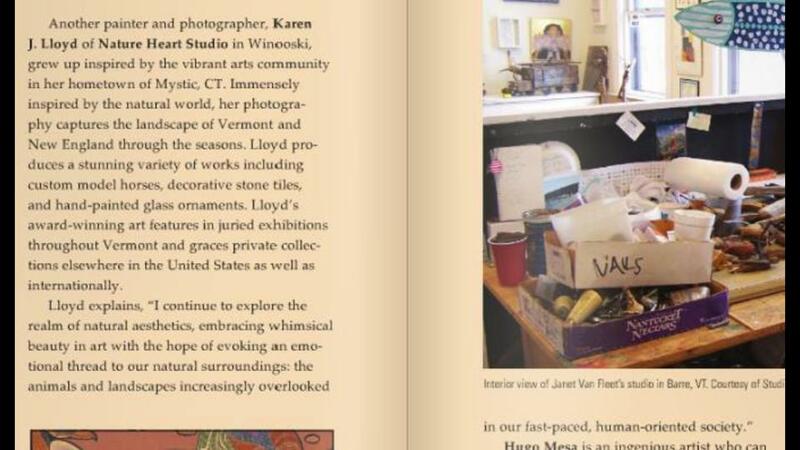 April/March: Inclusion in Art New England magazine's "Focus On: Northern Vermont Artists"
September: Spotlight in the newspaper Essex Reporter (Vermont) as the featured artist in their weekly Arts Beat column. August: 2nd place, photograph "Drafts & Ferris Wheel," in Champlain Valley Fair Exposition Art Exhibition's Fair Theme category. 3rd place, photograph "Downtown Winooski in Snow," in Champlain Valley Fair Exposition Art Exhibition's Store Fronts category. 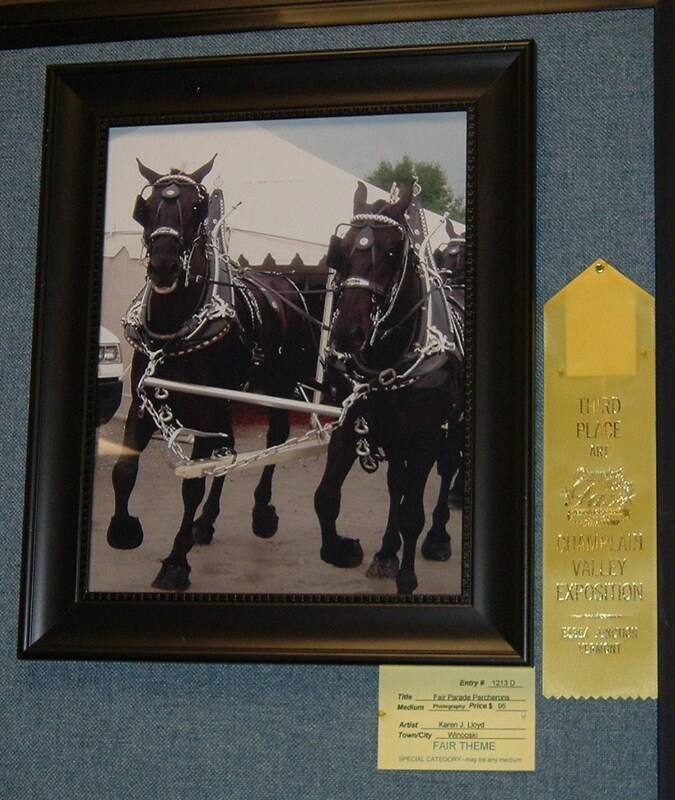 April: People's Choice Award, photograph "Fair Parade Percherons," Everything Equine Art Extravaganza's Seriously Now category (adult photography division). 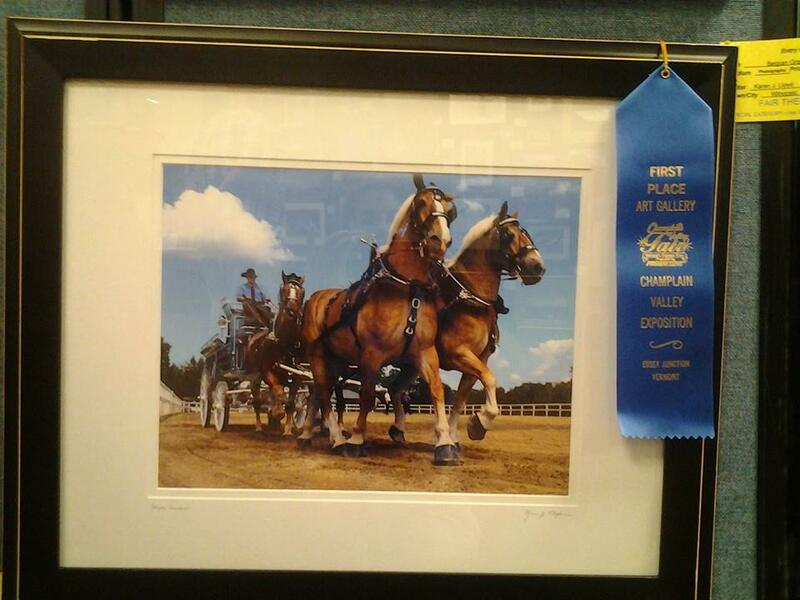 August: 3rd Place, photograph "Fair Parade Percherons," in Champlain Valley Fair Exposition Art Exhibition's Fair Theme category. Honorable Mention, photograph "Dragonfly Trio," in Champlain Valley Fair Exposition Art Exhibition's Best Shot category.